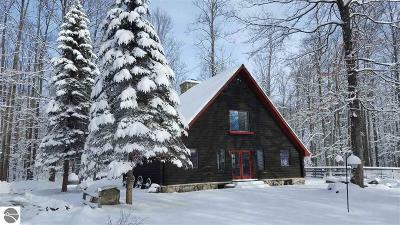 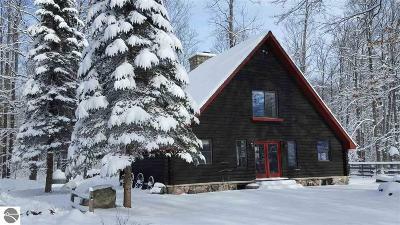 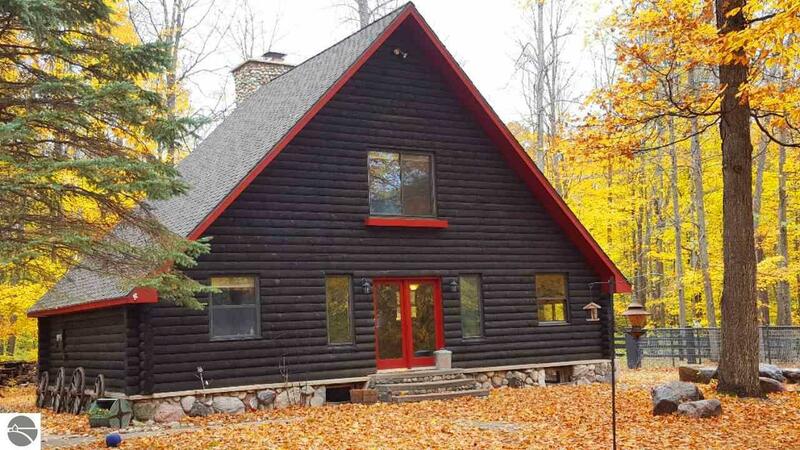 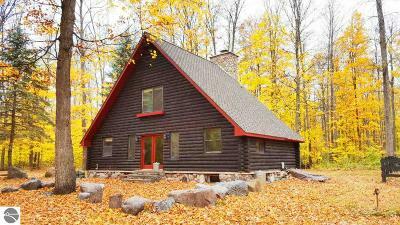 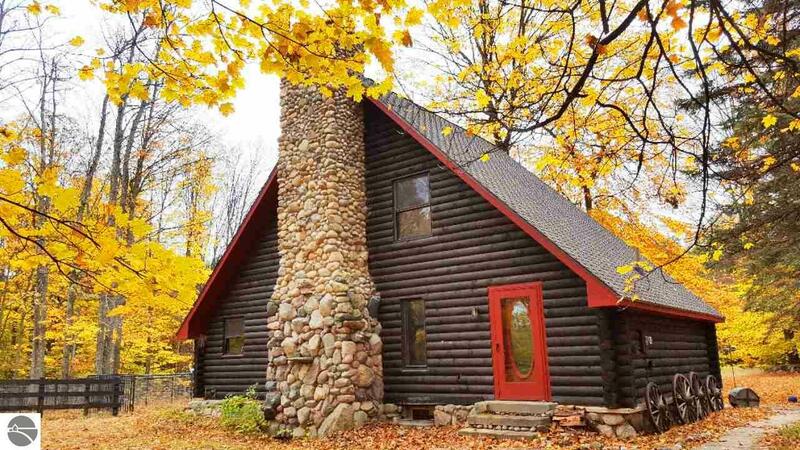 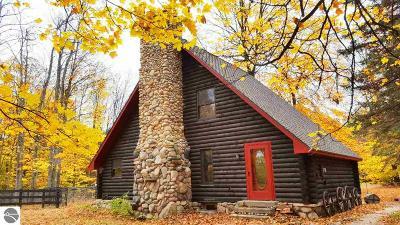 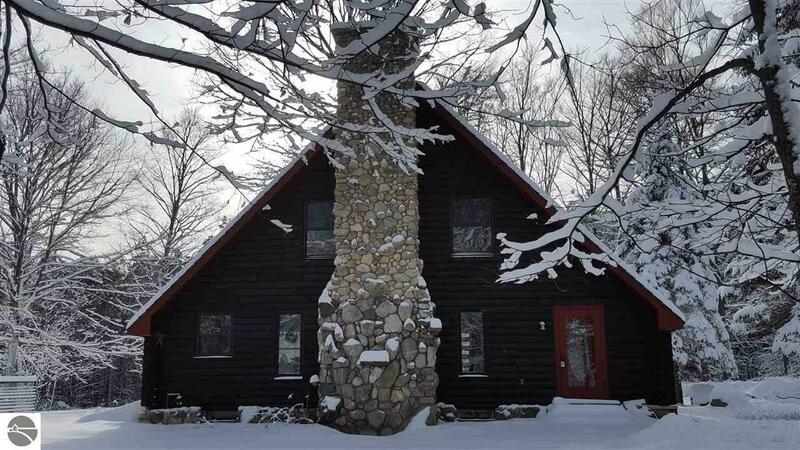 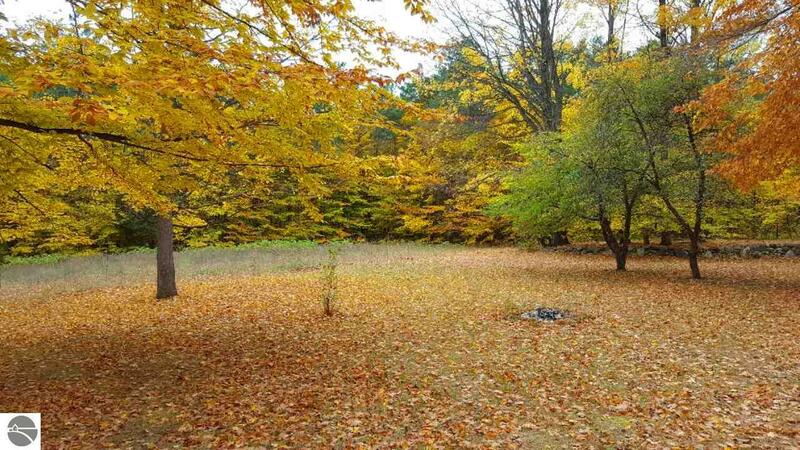 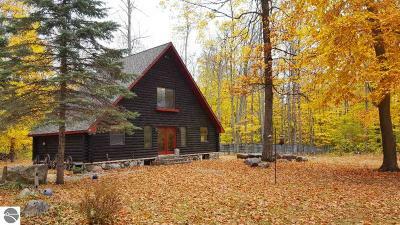 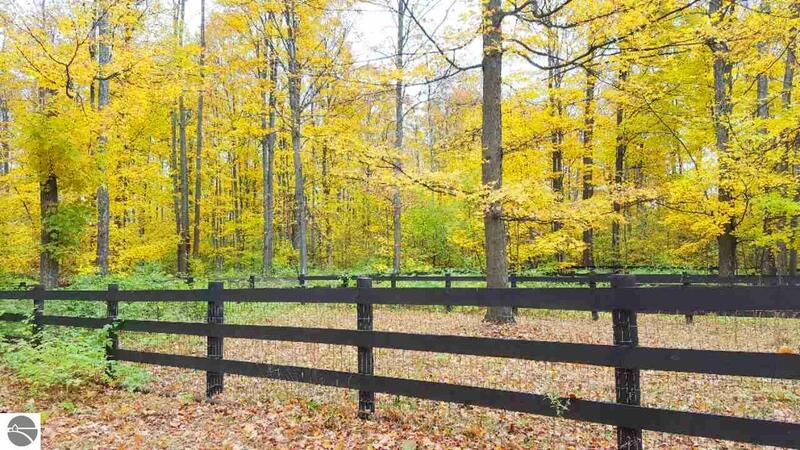 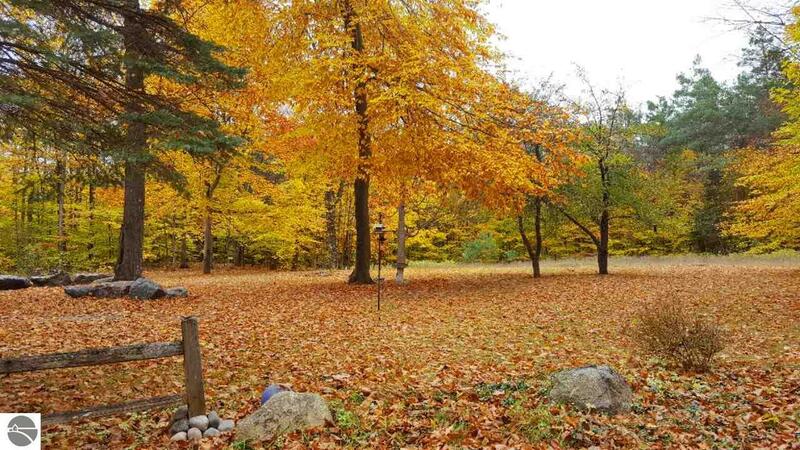 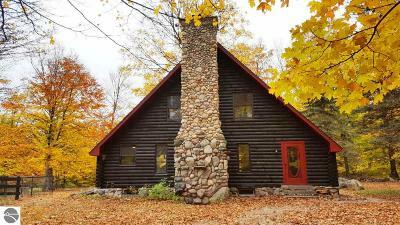 Beautiful, secluded 30 acre wooded estate setting with a 3Br, 1 Ba full log home set among towering maple trees, only 7 minutes to Torch Lake! 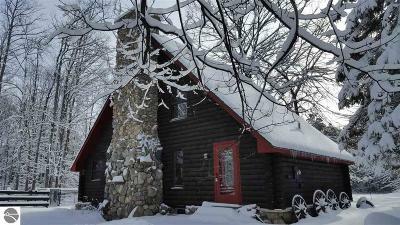 Snowmobile trails right outside your door & only 30 minutes to Traverse City. This home boasts a huge natural stone, floor to ceiling fireplace in the main living room area with a wonderful open floor plan. 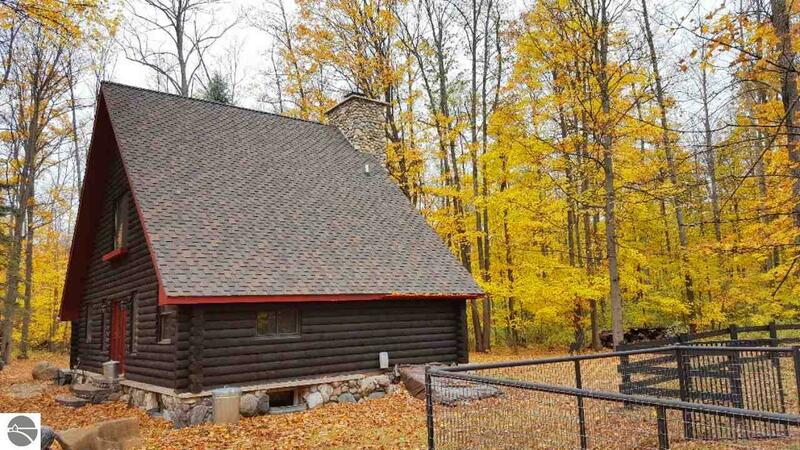 Lower level offers a floor to ceiling natural stone wall set up for a wood stove. 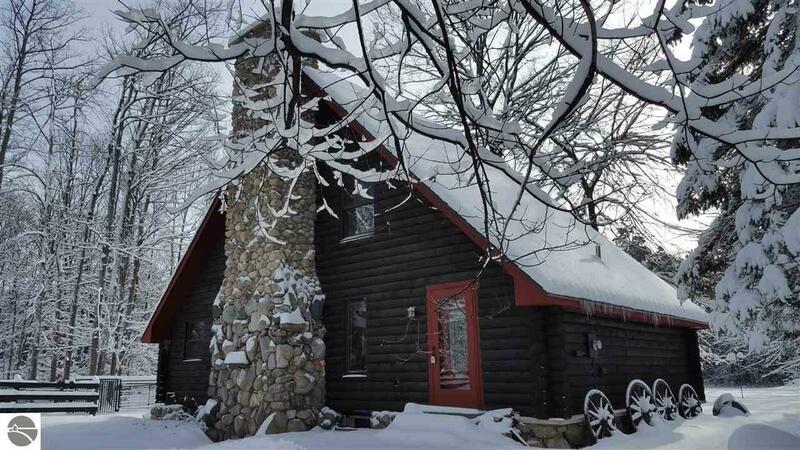 Home is very homey and warm. 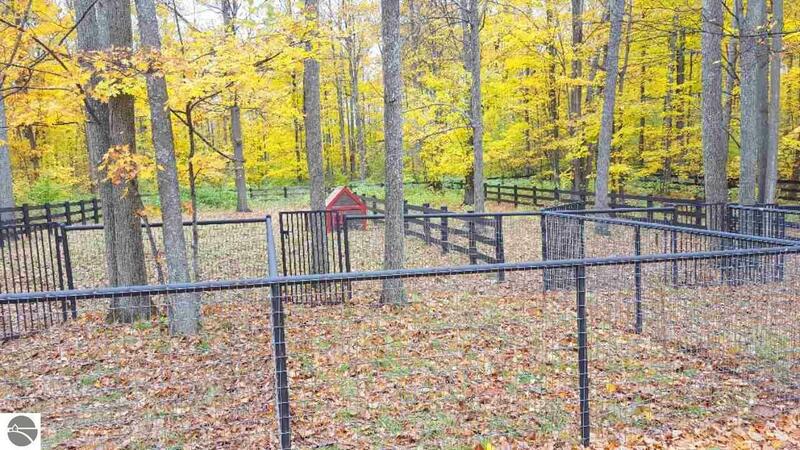 The exterior offers three large, fenced dog runs. 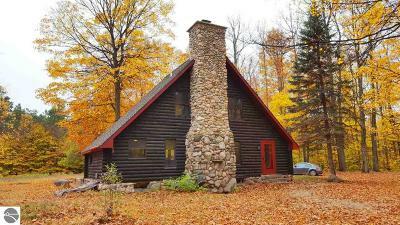 This is what Northern Michigan is all about! 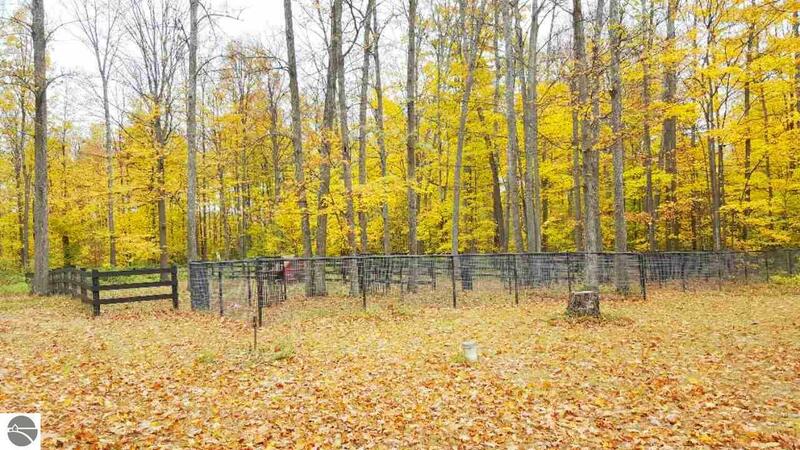 Br3 Size: 11'7" x 8' 6"
Din Rm Size: Combo x 9' 10"
Laundry Size: 10' 8 x 7' 9"
Liv Rm Size: 10' x 19' 8"